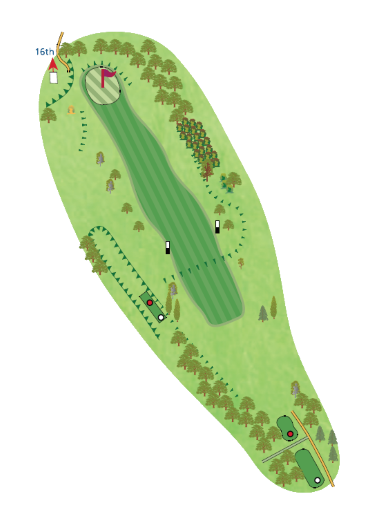 If you have managed to get through the last three holes in par you're on for a good score, the 15th is a straight forward par 4 hole with no bunkers. Driver is fine here, and favour the left half. Your second shot will play longer than it looks but do not miss the green left, right, or long.